I spent some time this weekend getting myself back into the swing of things when it comes to reading hockey literature, and I'm glad I used the time to finish a fantastic addition to Teebz's Book Club. If there's one segment of the hockey world that seemingly gets left behind when it comes to thorough examinations of the machinations and results within its ranks, youth hockey in Canada seems to be the untouchable or most disregarded segment. You'd think that there would be more introspect into the one area of hockey where our kids play, but there simply aren't that many authors who take a run at Canadian youth hockey. All that changes today as Teebz's Book Club is proud to review Home Ice: Reflections of a Reluctant Hockey Mom, written by Angie Abdou and published by ECW Press. Miss Abdou's experiences over the course of one year of Atom hockey involving her son Ollie looks at every aspect of youth hockey families in terms of family life, parenting, coaches, the importance of winning, and more! 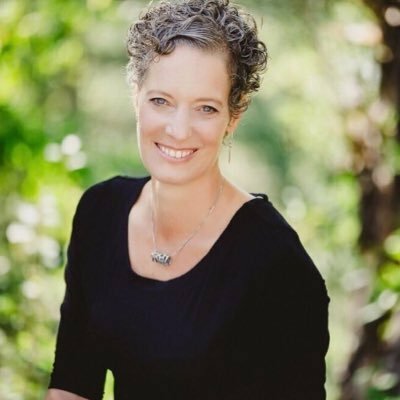 From the bio on Angie's website, "Angie is a Canadian author whose publication record includes the novels The Bone Cage (a CBC Canada Reads finalist in 2011 defended by NHL star Georges Laraque) and, most recently, In Case I Go (2017, Arsenal Press). Chatelaine magazine named In Case I Go one of the most-riveting mysteries of 2017 and The Vancouver Sun called it a 'spectacularly successful' novel. It was a finalist for the Banff Mountain Book Award, in the fiction and poetry category. With her seventh book, Abdou turns her attention to nonfiction. Home Ice: Reflections of a Reluctant Hockey Mom chronicles the year in the life of a busy sport family. 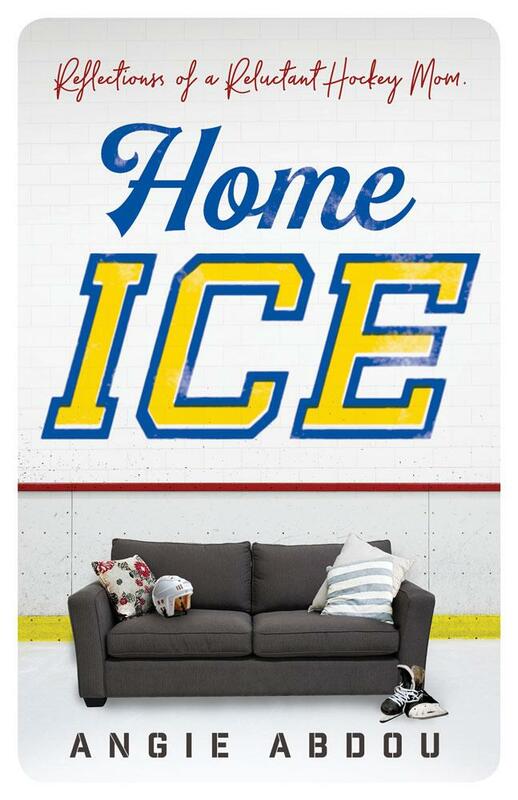 A starred review in Booklist calls Home Ice a first-rate memoir, a fine example of narrative nonfiction, and a must-read for for parents with youngsters in organized sport. Angie is an Associate Professor of Creative Writing at Athabasca University." I was lucky enough to hear Miss Abdou speak about this book and her experiences at an event earlier this month! So where does one start with the findings and research put forth by Miss Abdou in Home Ice? I'll be honest in saying that there's a lot to unpack in this book when it comes to the workings of youth hockey in Miss Abdou's hometown of Fernie, BC, but everything she delves into is backed up by science, studies, and doctors who have published their findings. In other words, Miss Abdou comes armed with facts when digging into some of youth hockey's most common problems, and she presents these facts in very thoughtful and reasoned arguments. As someone who loves a good debate filled with facts and figures, I appreciated this aspect of Home Ice in a big way! In a chapter that is a personal favorite of mine entitled "Kids in the Colosseum", Miss Abdou takes a hard look at body contact, injuries, and concussions in youth hockey. With the prevalence of concussions in every sport nowadays, this chapter really struck a chord with me in looking at ways to help make the game safer for developing bodies and brains. Miss Abdou has some convincing facts for pushing the age of bodychecking higher than the standards they're currently set at, and she paints a grim picture with the numbers and figures presented in this chapter for why hockey may not be good for children of any age. However, she does admit that kids can't be bubble-wrapped when it comes to their sporting endeavours, and she leaves the reader with as much knowledge and information on both sides of the coin to allow the reader to make a decision on the game's safety rather than her imposing her decision onto the reader. One gets a sense that Miss Abdou did this with intent, and I feel it really opens the door to thoughtful and intelligent debate on what age body contact should start, how to go about mitigating the dangers regarding brain injuries in kids, and on real-world examples of players who are dealing with or have dealt with concussions and concussion symptoms in the past. Nestled between the information and the facts and figures on the major issues plaguing youth hockey is a sweet story about young Oliver navigating his way through ages nine and ten while playing hockey and going to school and being a kid. Oliver is, at times, oversensitive to things. He reacts as you would expect a kid to react at other events. He's curious about bigger issues, yet he can't let go of the smallest detail when he discovers some imbalance of fairness in life. It's hard not to want to meet Ollie in real-life after Miss Abdou's story about her son because he sounds like a great kid with an exceptional zest for life. Miss Abdou also gives a full perspective on her life as mom to Oliver, her feelings of guilt and neglect in not paying as much attention to her daughter Katie, her marriage to Marty that seems to sway from bliss to catastrophe at points, her work as an author, her life as a hockey mom, and everything in between when it comes to her life. At times, you feel for Angie in her internal conflicts regarding her son and the game of hockey. She's a concerned parent who sees fault in some of the moments that happen around her and her son. There are times when you feel joy and happiness when Ollie does something great, sharing in Angie's delight for her son. And there are certainly parts in the book where she needs to deal with disagreements and personal conflicts that you could kind of skip over if you wanted to avoid negativity, but that's not how life works. Throughout her story, though, Miss Abdou has done a good job as making one feel like the reader alongside her for her journey, and that's an excellent trait to have when writing something as personal as Home Ice is to Miss Abdou. Ollie decided not the try out for the A team. I'm glad. I say it over and over and over again. "I'm glad. I'm glad. I'm glad." Ollie has no problem articulating his reasons for preferring the B team and feeling no pull whatsoever to the so-called rep team. "The A team travels more," he says. "I don't like traveling. I get car sick." That boyhood innocence comes through time and time again when Miss Abdou is speaking about Ollie, and it made me smile as I read her words. There are countless examples of Ollie being Ollie throughout Home Ice, and examples like the one above will keep a smile on your face as you flip the pages. Overall, Home Ice is an amazing book in making one consider the issues within youth hockey as Ollie plays through his Atom year of hockey, and the possible solutions and research that Miss Abdou provides in making her arguments to make youth hockey better should stir debate. If nothing else, I feel more informed about youth hockey than I did before, I still want to meet Ollie and experience his "Ollie-isms", and I hope that Miss Abdou's book re-opens some of the discussions about the larger issues in youth hockey. Because of the great story, the fantastic points of debate, and Miss Adbou's easy-to-read writing style, there is zero doubt that Home Ice deserves the Teebz's Book Club Seal of Approval! You can find Home Ice: Reflections of a Reluctant Hockey Mom at most libraries and all major bookstores in your area! As a precaution, there is some adult language in the book, so I'd recommend this book for all readers in their teens and older, and especially for hockey parents!